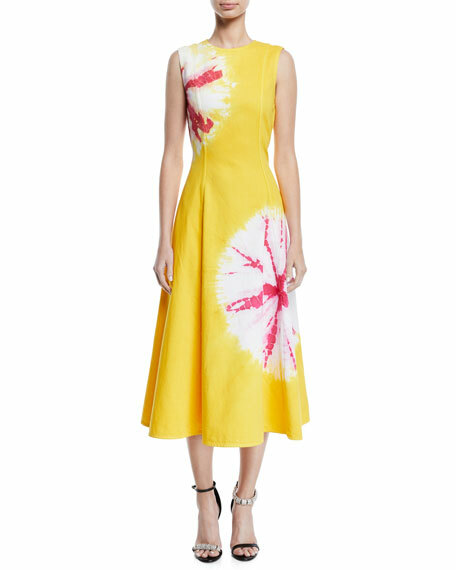 CALVIN KLEIN dress in sand dollar print. 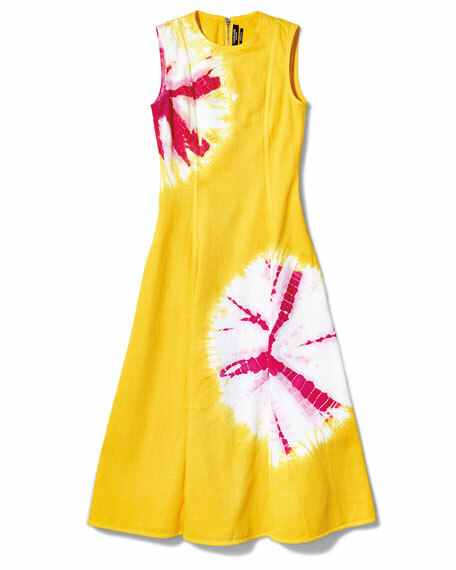 Joie "Jamima" dress in butterfly and leaf print. 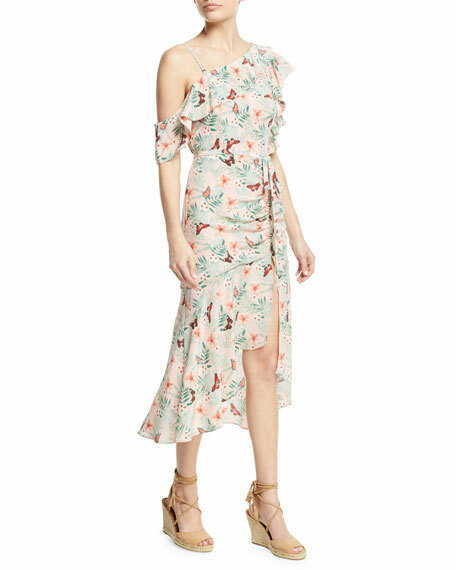 One-shoulder neckline; ruffle overlay. Short flutter sleeve at left. A-line silhouette. Ruched skirt with self-tie detail. 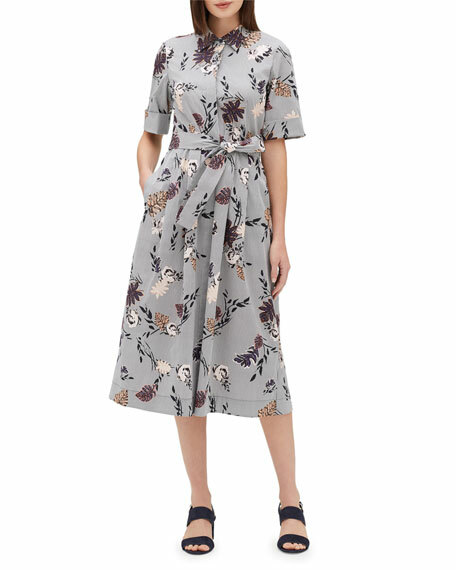 Split flounce hem. Midi length. Silk; lining, polyester. Imported. 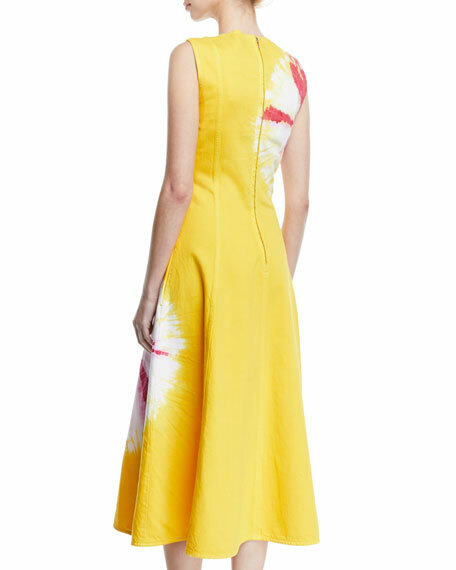 Prabal Gurung dress in floral print chiffon with covered button side-seam trim. 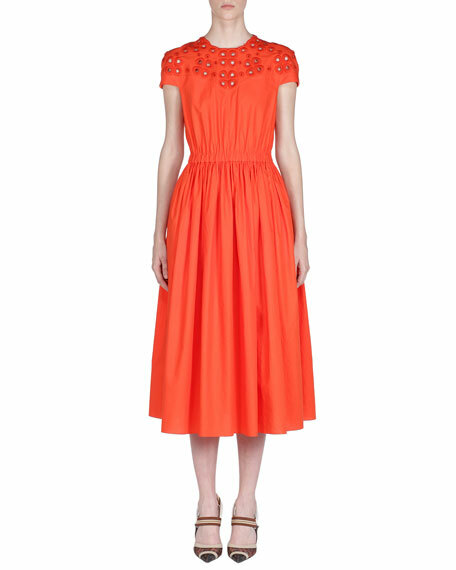 Semisheer sleeves and skirt panel. Crew neckline. 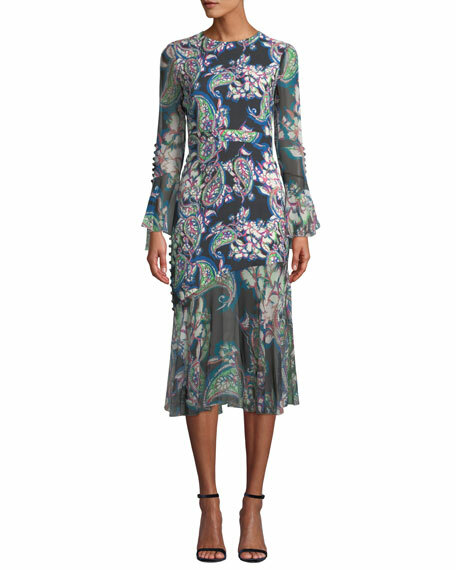 Long, semisheer sleeves. Asymmetric flounce skirt. Midi length. Back zip. Silk. Imported.